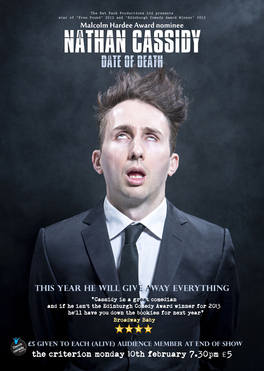 Nathan's award-winning 2014 show 'Date of Death' was performed at the Leicester, Brighton, Buxton, Camden and Edinburgh Fringe. Imagine if you had a date of death, as well as a date of birth. How would your life be different?